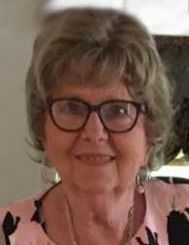 Gloria Martin Baker, 74, peacefully entered Heaven Friday morning, September 14, 2018. A funeral service will be held at 2 PM on Tuesday, September 18, 2018 at Fair Funeral Home Chapel with the Reverend Bobby Lawson officiating. Interment will follow the service in Mountain View Cemetery in Ridgeway, VA. The family will receive friends on Monday evening from 5 -7 PM at Fair Funeral Home and other times at the residence. Mrs. Baker was born on June 29, 1944 to the late Crowsey Martin and Minnie Hancock Martin. She was a faithful member of Temple of Faith in Ridgeway, VA. Gloria was well loved by many nieces, nephews and dear friends as she was always willing to help others. Passionate about shopping, cooking and gift giving for no other reason than to see a little smile on their face. A new journey awaits her in Heaven where we will miss her dearly until we meet once again. Mrs. Baker is survived by her husband, Sidney E. Baker of the home; son, Gregory Baker and wife, Joy; daughter, Robin Harris and husband, Dennis; grandchild, Rachel Honer and husband, Jacob; two great-grandchildren, Riley and Jordan of Irvin, California. Also surviving are her sisters, Gladys Brown and Joy McDaniel. Along with her parents she is preceded in death by her sisters, Madeline Vernon, Francis Vernon and Lucille Amos and brothers, John Martin and Morie Martin. Thank you all for sharing your support, condolences and precious memories with our Mom during this time. We will miss our lovely neighbor, Gloria, but she is with the God she loved so much. So sorry for your loss Sidney and children. Heartfelt thoughts and prayers for peace and comfort for the family. I have fond memories of Gloria stopping by the nursery after a shopping trip and showing me her yreasures and for sharing her homemade goodies. Such a beautiful and sweet lady that will be missed by many but whose memory will last forever.